For my last post in Natural Cleaning week, I’m bringing you another brand of environmentally friendly cleaners: Life Tree. 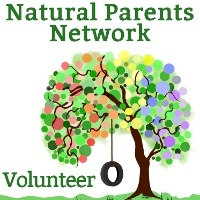 I’d recommend this to someone who is just starting out on their natural journey as they are perhaps a little less intimidating since they are most like the conventional cleaners they are use to in function. What is in these bottles of cleaner though is vastly different than their chemical-filled counterparts. They’ve been around since 1982 so they were earth-friendly long before it became “cool”. You won’t find any phosphates, chlorine, artificial fragrance or colors in Life Tree’s products. In fact, you won’t find any environmentally unsafe ingredients period! These are so safe that they even are for use on your baby’s toys. I mostly use my dishwasher to wash my dishes, but there are some things I need to wash by hand. I’m thankful to have a product like this for those times. It works effectively and, like all of their products, is biodegradable. It is concentrated so a little will go a long way and, alternatively, for those extra tough jobs you can use it squirted straight on the dish. Another nice benefit is some key ingredients that are natural skin softeners: aloe vera and calendula. 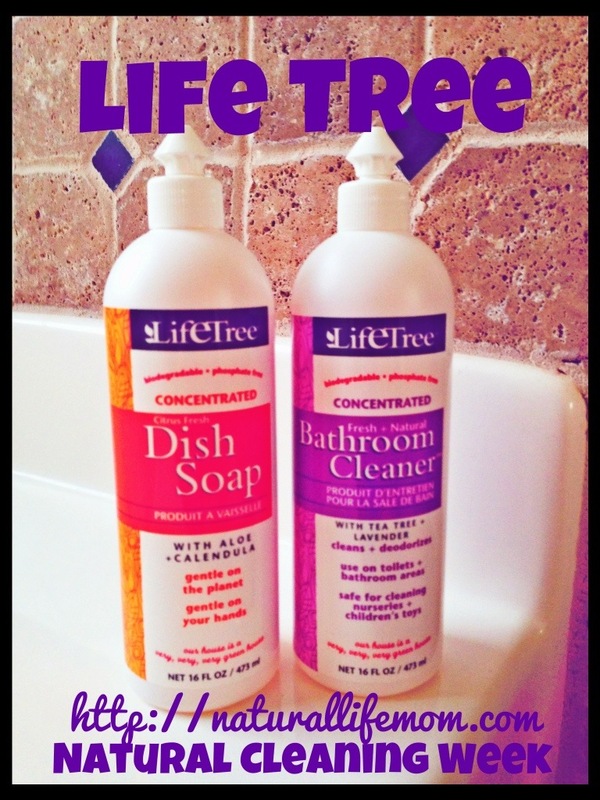 No one likes dishwater hands and with Life Tree’s dish soap, you won’t have to worry about having them! Bathroom cleaning is a chore I am not terribly fond of. However, I think I’ve found a great solution with Life Tree’s Bathroom Cleaner . I feel totally comfortable actually cleaning the shower right before my shower with this cleaner. It isn’t toxic and comes in an easy-to-use squeeze bottle so I can just squeeze some cleaner on my cloth, wipe down the shower and then rinse it out and I’m done. I just leave the cleaner in the shower. FlyLady recommends this but I never wanted to be standing in my shower with the door closed with yucky chemicals. This bathroom cleaner uses lavender and tea tree oils to not only scent it but because they are traditional antiseptics. They help control bacteria naturally so you are making your bathroom surfaces stay cleaner longer, too. Just like the dish soap, it is highly concentrated so just a little is going to be all that is needed unless you have an extra dirty area to tackle. I was pleased with the performance of both of these products and the only thing I could say I wasn’t crazy about was the scent, although I really appreciate that they are not chemically derived! 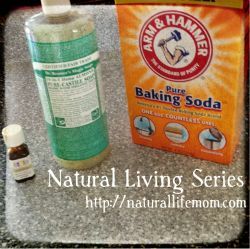 I think these are a great addition to my natural cleaning cabinet, and know any naturally-minded person would feel the same after trying them! Would you like to try them out? Enter the giveaway via the Rafflecopter entry form below! Good luck! Disclosure: I received no compensation for this post but did receive a complimentary Citrus Fresh Dish Soap and Fresh and Natural Bathroom Cleaner from Life Tree for the purpose of this review. I was not required to give a positive review and all opinions are 100% my own. I only review products that I either have purchased myself and love or products I have been given a chance to review by the company that I believe are products my readers would benefit from. 3 Responses to "Life Tree Products for Toxin Free Cleaning"
Using natural or non toxic cleaning products is the latest trend among the people nowadays. 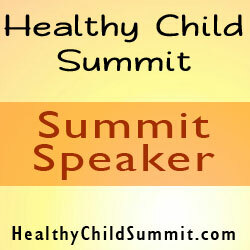 There are many different non-toxic cleaning products are available on the market which are safe to use.